While painting on location in one of the family's fields, Jessie absentmindedly brushes a note of turquoise onto the canvas. Curious about what added the lovely spot of color, the artist walks over to discover a shoe. The mate is still on the foot of a dying Native American girl crammed between the hay bales. She whispers to Jessie that her attacker was a cop. The story becomes more personal when an old flame, Sheriff Russell Bonham, reveals that Amber Reynolds was attacked while on her way to speak to Jessie's family about two missing Thomas Moran masterpieces worth millions. The paintings disappeared nearly 100 years ago from St. Benedict's Mission School. Right after the unsolved murder of Jessie's great aunt Kate. 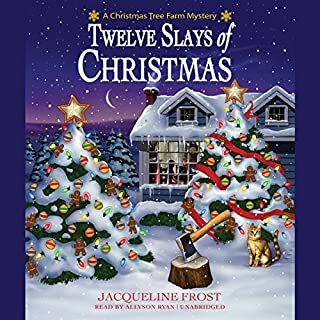 Jessie teams up with Arvid Abrahmsen, a huge Norwegian cop, and FBI art theft agent, Grant Kennedy, to search for the lost artwork and solve the murders, both the past and the present. 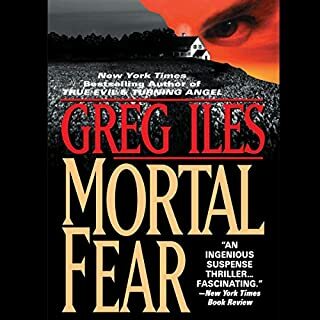 Good audio book, Excellent narrator! Good story, I liked the characters, especially Jessie. 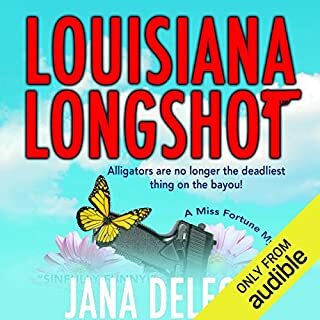 Jake would make a good match with my Tilly, A really enjoyable audio book due to an excellent narrator. The quality of the narrator can make or break the book regardless of the author's ability to write a good story. This is the first in a series which I hope will give me a lot of pleasure while reading or listening . I have already purchased the next one . I love my Kindle Unlimited subscription which, since I am on a limited income, gives me the opportunity to read many more books for less than the cost of one book at regular prices. I wasn't asked to give a good word for Kindle Unlimited but am doing so because for me it is a bargain if one reads or listens to a lot of books. 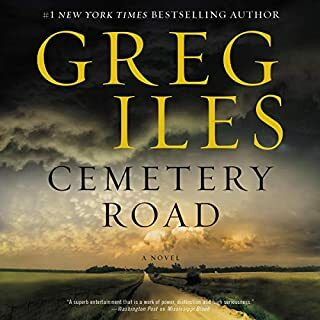 I enjoyed every minute of this audio book, and am amazed that it is the author's debut novel. She writes wonderfully, with full, rich characters, and a compelling mystery that makes one keep guessing, "Who done it?!". As an artist myself, I especially enjoyed the references to art and painting, and her colorful, and often humorous descriptions of the scenes and characters. The narrator did a fantastic job, and enriched the story and experience. She was perfect! 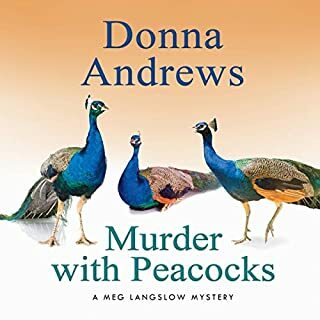 I would recommend this book to anyone who enjoys a good mystery with likable, true to life characters, that keeps you guessing until the end. I'll miss those folks, and can't wait to listen to the next book in the series. Read (Listen) to it, its worth the time. Great combination of the past and present. A Page Turner and more. What made the experience of listening to Death on Canvas the most enjoyable? This book was easy to listen too. The characters came to life and I felt like they were my friends and neighbors. It was so well written that you could see in your minds eye the Montana landscape and the colors and feel of the paintings. It was like being in a high end gallery looking at the best paintings the West has to offer. This was a real page turner. The twists and turns kept you excited and wondering what was going to happen next. I became invested in Jessie's quest to find out about the murder of Amber and what happened to the Moran paintings. I wanted to see more of Thomas Moran's paintings and learn about his history of painting in the Yellowstone and Grand Tetons National Park. Which character – as performed by Moe Egan – was your favorite? 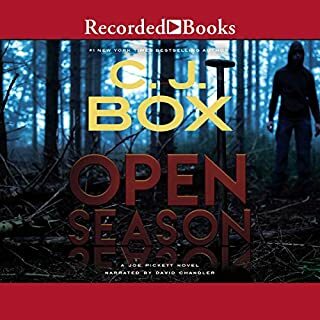 I loved this audio book and can't wait for the next one in the series to come out. It makes long trips in the car go by fast. I enjoyed the antics of Jack the cat and the realistic and well researched information on what a good Search and Rescue dog can do. 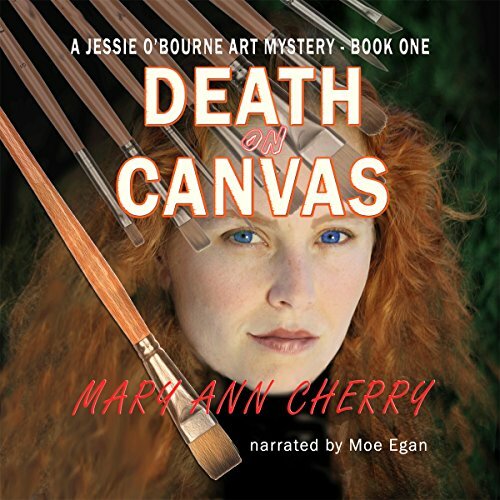 Death on Canvas is as an interesting story, but it switches between different times and settings. This is a bit confusing and annoying, because there is a lot going on in this book. I also find it hard to believe that a law enforcement officer wouldn't recognize the value of art.